Footrest uses SmartFit® System - Measure, Adjust, Fit. Workspace that works for you. 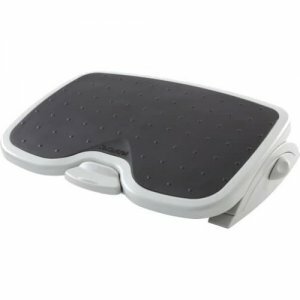 SoleMate Plus with non-skid surface reduces muscle strain and fatigue by providing leg support in the optimal position. Footrest is both height and angle adjustable. Set to your SmartFit personal comfort color for perfect, ergonomic positioning.